Ford’s Theatre, where Connie Milstein sits on the Board of Trustees, is not only a place where great theater can be enjoyed by appreciative audiences; it is also a place where visitors can participate in innovative activities to learn about history. One of these activities is the “History on Foot” walking tours, where an actor in costume leads visitors through downtown Washington D.C., bringing the extraordinary times of the Civil War era to life. Currently there are two choices of tours available to participants: “Investigation:Detective McDevitt” which probes into the Lincoln Assassination Conspiracy, trying to separate fact from fiction concerning the historical events of April 14 and 15, 1865; and “A Free Black Woman:Elizabeth Keckly” which introduces the visitors to Elizabeth, close confidante to Lincoln’s wife. In this “street theater” presentation participants learn about the Lincoln family and the help Elizabeth gave to former slaves as they learn to live as free people in the newly free city of Washington. It is also possible to request privately led walking tours for individuals or groups, depending on availability. 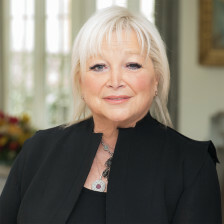 Among Connie Milstein’s many philanthropic activities is her participation in the functioning of Ford’s Theatre as a member of the Board of Trustees. Ford’s Theatre, which, for many is “America’s most famous theater,” earned its place in history when one of America’s most beloved of Presidents, President Abraham Lincoln, was assassinated there in 1865. Because of its historical importance Ford’s Theatre works in partnership with the National Park Service, overseeing close to one million visitors every year. Visitors to Ford’s Theatre learn about Abraham Lincoln, his tumultuous presidency, and his life in Washington D.C. in the mid-19th century. Ford’s Theatre is an excellent place to begin to understand Lincoln’s struggle to maintain a united country, the events leading up to his assassination and the motivating forces leading to his tragic death. Connie Milstein Helping NYU Expand to D.C.
New York University is the latest recipient of the largesse of Connie Milstein and her philanthropic activities. Ms. Milstein is embarking on a $10 million project to expand the NYU campus to Washington D.C. by building an extension there. The 12-story building will be the 12th additional campus for NYU which houses their extensive study-abroad program. The Washington campus will join the other satellite campuses which are located in internationally important cities such as London, Shanghai, and Tel Aviv. The Washington, D.C. program will be offering a one semester study-abroad program in journalism, political science and American history. Internships will also be offered in various government offices and non-governmental organizations. The new building will be located on northwest L Street, just a few blocks from the White House. Ground-breaking for the new structure is scheduled to commence in September, 2010. Filed Under: Connie Milstein, New York University, Washington DC Tagged With: Connie Milstein, New York University, Washington D.C.